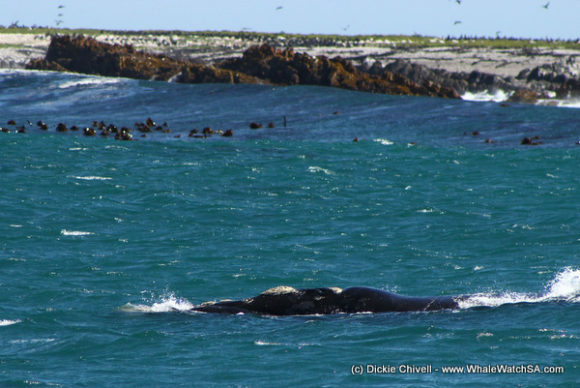 As per one of our awesome clients “Tons and Tons of whales”…. Our last sea day for a while and we certainly went out with a bang! Today’s trip really got lucky with Southern Rights popping up like weeds through a pavement. Much like yesterday, we began the trip by heading straight off towards Dyer Island. 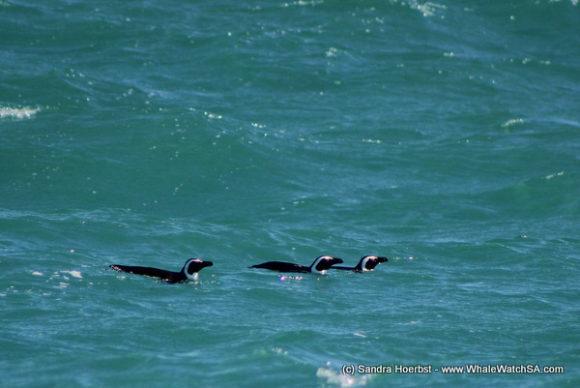 The wind has picked up a bit again which made for an exciting ride and, on the way we spotted 3 of our endangered African Penguins. 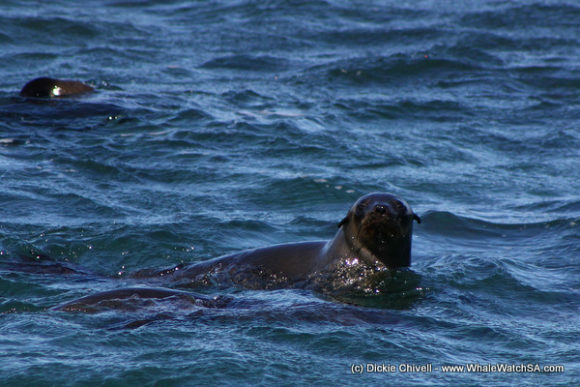 These little guys were still relatively close to home, with some of our flightless friends having to swim up to 60km to find food due to the exploration of their favourite fish species in our area. We watched them bob up and down or a couple of moments before venturing over The Clyde. 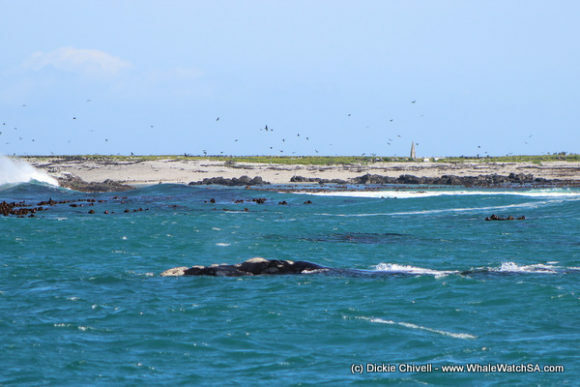 We found our first Southern Right Whale here, just metres from Dyer Island. The area around the island is really shallow and we often find ourselves in less than 12m of depth when travelling in this region. This is no sweat for our Right Whales who are famous for coming so close to the cliffs of the cape that one can see the barnacles on their bonnets. We spent some quality time with this lone ranger, watching in awe as the silhouette of the whale was perfectly outlined by the sea as the swells rolled in. 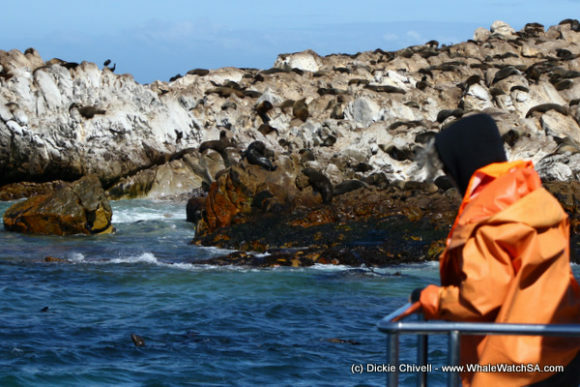 After our time with this animal, we slowly cruised towards our Cape Fur Seal colony, moving through what some like to call the “drive through” for White Sharks. 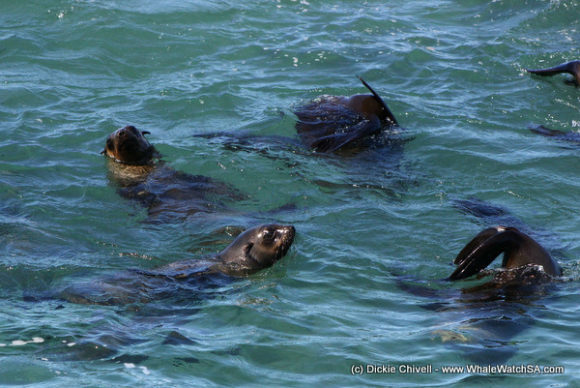 The seals today, were, however, unperturbed by the presence of a possible predator with many of these playful pups lavishing in the cool Atlantic waters. The pups are now around 9 months old and will very soon earn the title of “Yearlings”. Only about 50% of the 10 to 12 thousand pups born will reach this milestone. 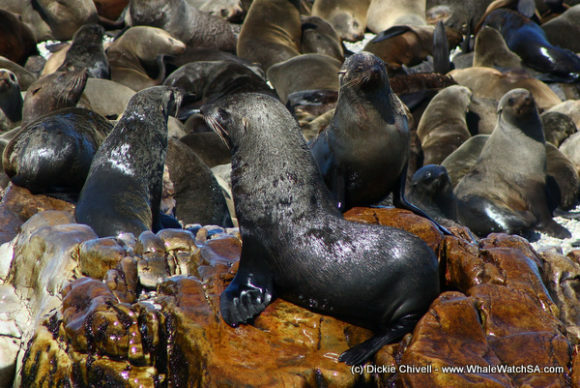 We journeyed towards Pearly Beach following our time with the seals and this is where things really started to heat up. 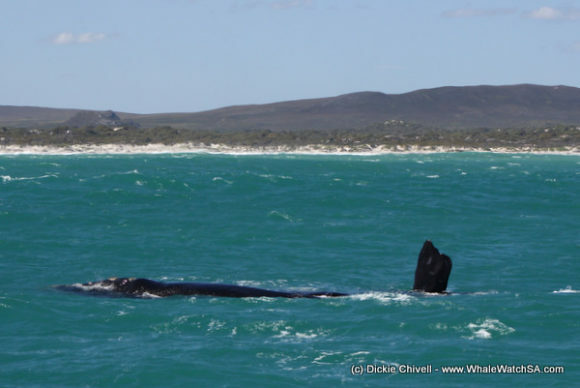 We found Southern Right Whale after Southern Right Whale with mating groups performing around the boat. It was absolutely breath taking to watch so many of these 60 tonne giants move all around the boat, some of them teasing us with their gorgeous tail flukes by keeping them just under the surface. Back in the day, some whalers used to refer to this majestic species as “Black whales” due to their dark colouration. Shockingly, these slow moving cetaceans were hunted for over 300 years in the southern hemisphere, with numbers dwindling down to 300 animals before the Southern African population became a protected species. 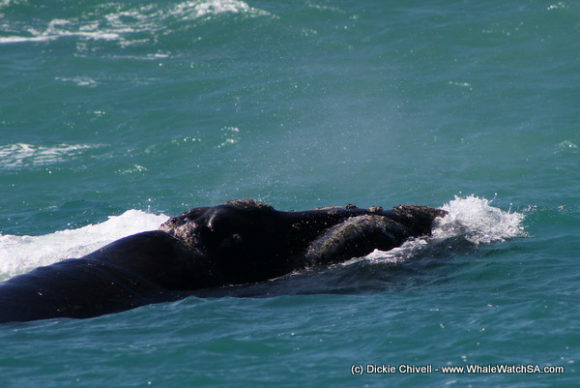 Having seen the numbers swell in recent years, we are delighted to be able to share our sightings with people from all over the world, who now recognise that these are the right whales to watch. We spent as much time with the whales as we could, fully absorbing the magnificent sights around us. We had a brindle whale in one of the mating groups and some clients were even lucky enough to see a tail in the air a little further off. 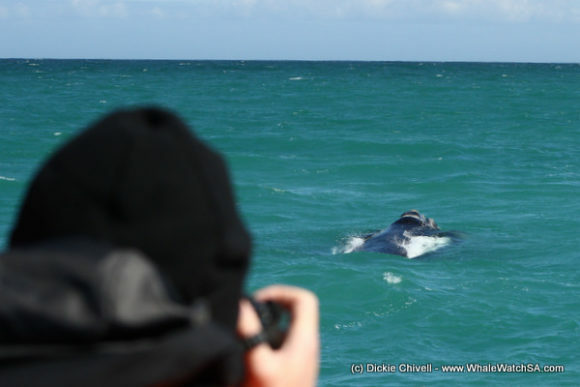 We had a couple of the whales so preoccupied, that they failed to notice just how close they had moved to us as they went about wooing a female. 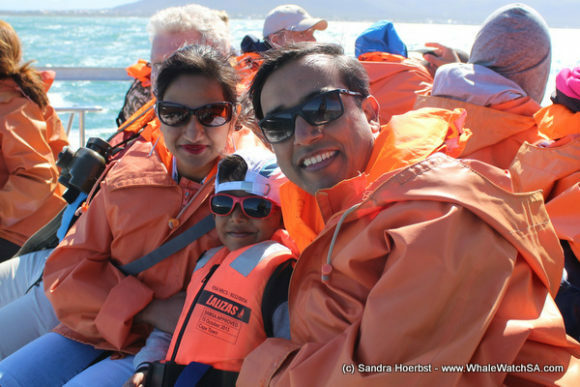 Although we did not manage to spot a Great White at Slashfin today, the amazing whales kept us smiling all the way back to Kleinbaai harbour….and beyond.